GREAT LOCATION. 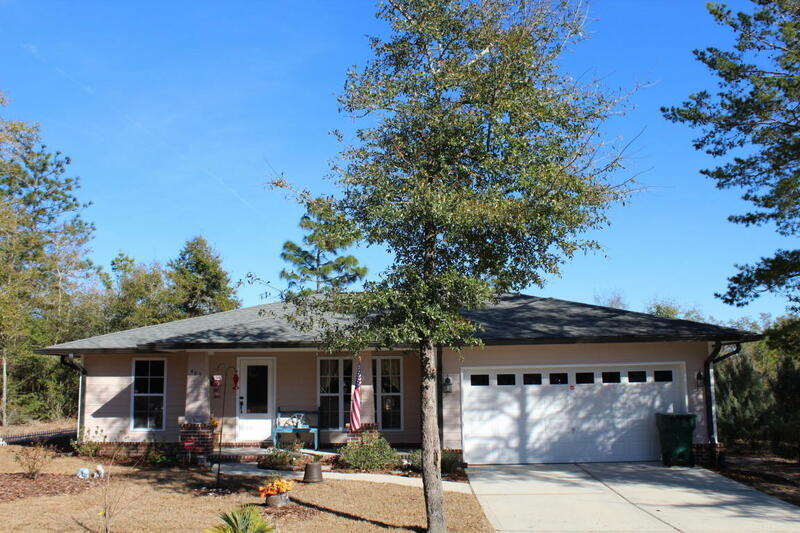 SMART INVESTMENT This custom built home is located in one of Defuniak Springs newest Subdivisions ''Hunters Ridge''. One way in & one way out gives Hunters Ridge S/D that safe & secure gated community feel. The home is in ''like new'' condition. Split floor plan. Custom cabinets. Stainless steel kitchen appliances. Granite counter tops. Tile floors in kitchen & bath rooms. Lawn irrigation system with ag meter. Whole house gutter system. Seller is even including the portable Generac gas generator. Move in ready! A Homes like this are in high demand! Prior to accepting any offer with bank financing the seller will require proof that the buyer can qualify for a loan. shown by appointment 24 hours notice.